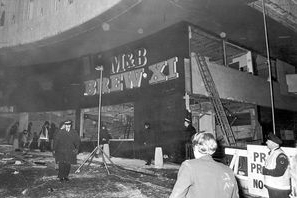 On November 21st 1974 two bombs went off in two Birmingham pubs. 21 people died, hundreds were injured, some of these were life changing. Normal everyday people, having a drink after work, or just starting a night out with friends. It devastated families, and the community. No answers have been forthcoming, and the families have continued there fight with no help from our justice system. They have recently tried and failed to get legal aid. Below is an account of recent events ( 12/11/17), in the words of Julie Hambleton, who lost her sister Maxine in the blast. 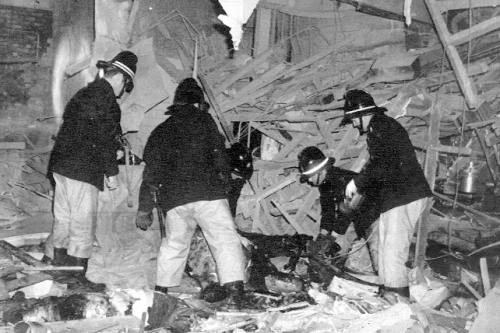 We've received devastating news today, where the legal aid agency have refused our application for funds to be represented at the forthcoming judicial review (where we are challenging the Coroner's decision - he has used his wide discretion to exclude the murderers from the inquest - who made the bombs, who directed them, who carried them, who planted them and their associates) As such, we are now looking to the great people of our country to help us challenge the Coroner and help us raise money to do so. The judicial review is due to take place on 6th & 7th December 2017. The fact that the authorities continue to create barriers stopping us from being legally represented, only adds to the myth & rumour that they do not want the truth to be in the public domain. What is it they're are so scared of us knowing? Why do they thwart us at every opportunity? We are not the murderers! We had raised over £17,000 from Crowd Justice to make the application to apply for permission to judicially review his ruling. We went to the Legal Aid Agency because a judge found that there was sufficient merit for the challenge to be heard before a panel of judges – the Legal Aid Agency appears not to think there is such merit or sufficient public interest to award public funding for such an important challenge. This is despite the fact that public funding has been and continues to be made available to the Coroner, West Midlands Police, Home Office, Police Federation and others to defend his Ruling, but NOT to us (the victims' families). We are therefore now with our backs against the wall – again – with important deadlines to be met before the two day hearing in December and urgently require £20,000 to continue to fund our legal representation so we can argue our case at its highest. This is yet another example of how the families are continuously being obstructed from getting to the truth and from having fair access to Equality of Arms in legal funding. Ironically, if we were in Northern Ireland, we would not have to even apply for legal aid, because the judge has found merit in our case! Please help us raise our plight. We are desperate for funds and need all the help we can get to fight for our loved ones who are not here to fight for for truth, justice & accountability themselves. Even if it is £1 - we desperately need YOUR help! Please Please help us! 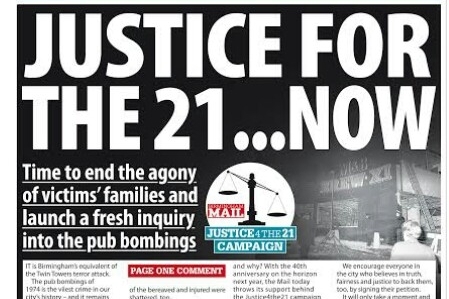 To all of you who have donated your hard earned money..... justice for the 21 families would like to express their sincere and heartfelt thanks to each and everyone of you! Your humility, generosity of spirit (& money) gives us such strength in our fight for truth, justice & accountability. We are & will continue to be overwhelmed. Thank YOU all. Over £1000 raised since Monday night. Thanks to all the people who donated.